I always learn something from talking to Tom Stallkamp, which I was able to do a couple of times recently. The timing was perfect because we discussed how working relationships between suppliers and automakers are evolving -- a topic he knows well. And he shared a little secret about how to predict when things could get testy again. Stallkamp isn't as visible as he used to be, even though he's still very engaged in the auto industry. 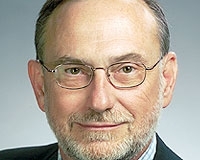 A decade ago, Stallkamp left as president of DaimlerChrysler. Since then he has thrived in the realm of suppliers. Now Stallkamp is an industrial partner in the private equity group Ripplewood Holdings LLC, which has stakes in suppliers with factories in North America, Asia and Europe. He sits on the boards of three suppliers, including Borg-Warner. At the old Chrysler, Stallkamp was part of the leadership dream team that included among others Lee Iacocca, Bob Lutz, Jerry York, Steve Miller and Tom Gale. As purchasing chief, Stallkamp devised the SCORE program -- for Supplier Cost Reduction Effort -- which encouraged suppliers to cut costs and share the savings. Suppliers loved SCORE, which was radical for its day -- an era when Inaki Lopez was notorious for squeezing General Motors' suppliers. Because of SCORE, the 63-year-old Stallkamp still is considered the patron saint of collaborative relations among suppliers and automakers. In recent years there has been an ebb and flow of collaboration, though the industry's recent crisis has given factories and suppliers more reason to work together. Now that times are getting better, I asked Stallkamp what the first sign will be that a collaborative relationship between an automaker and suppliers is headed for the rocks. That's easy, he said: When an automaker no longer lets suppliers pass along increases in steel prices. It could be soon, Stallkamp said, because commodity prices already are starting to rise.